This was SJGR's first investigation of this private home in Manalapan NJ. We were called in to substantiate reports of apparitions, shadows, movement of objects, and audio phenomena. During the course of the investigation, three investigators reported the impression of the same male spirit in the house. They both stated that the spirit reminded them of Albert Einstein in his later years. They both felt this spirit was a prankster and loved to play practical jokes. Later, one of the investigators had an impression of a name, possibly “Erickson”. The physical evidence collected consisted of the unusually high amount of 21 EVPs and approx. 5% of photos with energy orb anomalies in them falls within the normal range for this location. 10:04pm - Investigator Niedt took this photo at random. 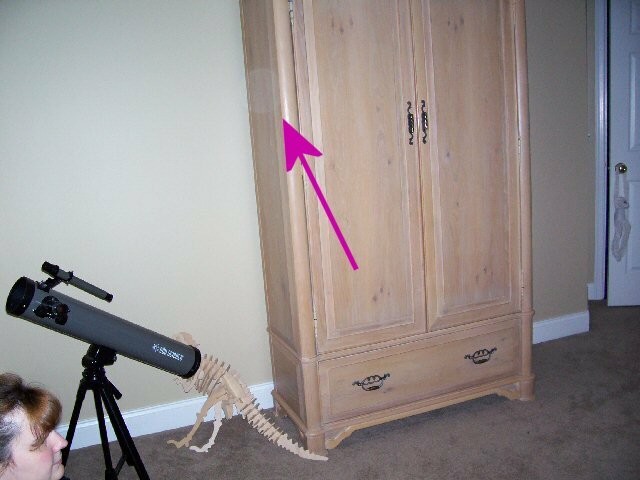 10:11pm - Investigator M Carroll took this photo at random.